A complete pet food to maintain the health and support the growth of all sized puppies, aged 2 months to maximum 6 months. Popular with customers with a lot of great feedback! Contains only one meat source – 26% fish. Hypoallergenic and no need for any other foods. The product is priced well, with better than average ingredients! Main Ingredient: Fish meal (22%), an excellent source of protein. Most pet foods sadly have cereals as the main ingredient! Allergy Benefits: Hypoallergenic! Contains a single meat source (fish) and doesn't include ingredients that commonly cause reactions. Wind, bad breath, fur & teeth benefits? Added omega 3 and 6 for a healthy skin and beautiful coat. Prebiotics, yucca extract and rice (19.9%) in the diet help limit wind. Dry food helps ‘clean' the teeth to avoid bad breath and teeth. James Wellbeloved Fish & Rice Dry Puppy Food is a complete and balanced hypoallergenic diet; made for supported the growth of all breeds of young dogs up to the maximum age of 6 months old, depending on breed size. It is made with all natural ingredients, of which 22% is fish meal for quality protein and great taste. It is also made to support a healthly digestive system by added prebiotics, along with omega 3 and 6 for healthy skin and a glossy full coat. A complete dry food with the bonus that it is hypo-allergenic. With selected protein source fish and selected carbohydrate sources of rice and barley, it is a dietetic food, excellent for the reduction of ingredient and nutrient intolerences. We suggest that the food be tried for a period of 3 to 8 weeks. If the signs of the food intolerance disappear, continue feeding indefinitely. Packaging sizes: 2kg, 7.5kg, 15kg. - Made with sustainably sourced, predominantly ocean-white fish meal. - Single meat protein - the only meat protein in this food is Fish and we complement that with nutritious fish oil and delicious fish stock. - We avoid those ingredients known to cause many food intolerances. 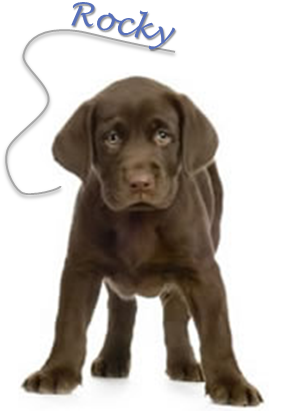 - Complete balanced puppy food. Fish meal* (22.0%), white rice (19.9%), barley, pea protein, brown rice (9.8%), olive oil, fish stock (3.8%), whole linseed, fish oil (3.5%),peas, alfalfa meal, seaweed, chicory pulp, sodium chloride, chicory extract (0.25%), potassium chloride, calcium carbonate, yucca extract (0.02%). *Sustainably sourced, predominantly ocean white fish. Great high quality food which is much healthier and beneficial for your dog than cheaper brands like Bakers. The food is great for digestion and does not upset the stomach, I highly recommend. This product is really great and I have no issues to report. Five stars for healthy and natural ingredients, taste, and for the great condition my dog is in- shiny coat, fresh breath and no upset tummy. My dog will generally eat anything but I wanted to feed her the best quality food I could find- and the natural, hypoallergenic content of James Wellbeloved does the trick! She is in a great condition, very happy and healthy with lots of energy, I will be recommending to all my friends. I recently tried my dog on this food after seeing it locally advertised, and have had no problems. It is great value for money because of its excellent ingredients- no unnatural additives and full of protein and added omega 3. The kibble is easy to eat and my dogs always get very excited when it is dinner time so I can tell they enjoy it too. I have been raising puppies for years and always feed them James Wellbeloved. It is full of natural ingredients that give my dogs lots of energy and doesn't make their breath smelly. Perfect food for healthy dogs. I switched from pedigree to james wellbeloved after being recommended this food from my vet and I have noticed a visible improvement in my dalmatian's condition and she has a lot more energy. Absolutely no digestive issues and no artificial ingredients which would make her hyper. Very happy pet owner. My collie pup is allergic to a lot of cheaper dog food brands however James Wellbeloved has been great and I have had no difficulties. He seems to find it very tasty as I have lots of clean bowls. Thank you petshop.co.uk! Despite having a delicate stomach my dog has thrived on this food, which provide him with lots of energy for the day. Full of great natural ingredients which make his coat lovely and glossy and there is always an empty bowl after meal times. My dogs have generally been quite fussy with their food but they love James Wellbeloved. The food keeps them at a healthy weight and it settles well in their stomachs. There is the added benefit of not having smelly breath which is good for me. There is always an empty bowl at dinner time- my lab obviously thinks this is a very tasty food. No artificial ingredients or flavours so I know this is a very healthy food and will move my dog onto the adult version once he is fully grown because I have had such a good experience with this brand. I have 3 dogs, a Labrador, Collie and German Shepard and I have always fed them James Wellbeloved after being encouraged by some very positive reviews. The fish flavour is their favourite and it is full of healthy and natural ingredients. It is definitely worth paying a little more for, but the prices on PetShop.co.uk are the best around. I was recommended this brand by my vet and my dog took to it straight away, the food gives your dog all the nutrients it needs to grow strong and healthy, and all my friends comment on how glossy his coat is. Had great service from Pet Shop too, I will keep ordering. I recommend this high quality food. I am very impressed with its composition, my dog has no stomach problems because it contains prebiotic and it has settled his sensitive skin problems. I will continue to keep feeding my dogs this food to keep them healthy and happy. My Charlie used to suffer with sensitive skin on his belly but after we switched him to James Wellbeloved we have had no more problems. Charlie loves the taste and I think its great value for money, PetShop have some of the lowest prices around. Very happy!